10 x € 45.80 / mėn. ? 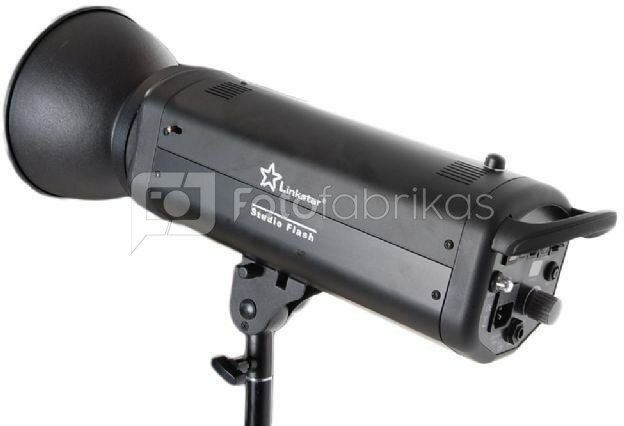 The Linkstar flash kit LFK-500D is a very complete flash kit for the professional user. Supplied are two Linkstar LF-500D studio flashes with 500Ws flash power each. 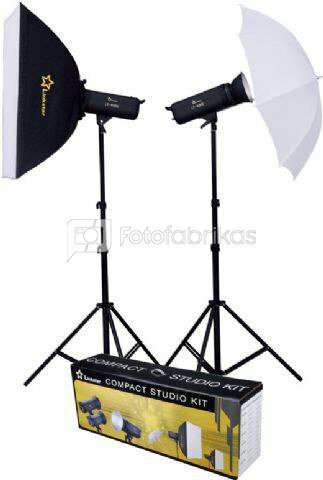 The studio flashes provide a range of possibilities: quick charging time, robust metal housing, professional S-type bayonet connection for accessories, fan cooling and a built-in slave receiver. Thanks to the digital display, the studio flashes can be adjusted accurately. 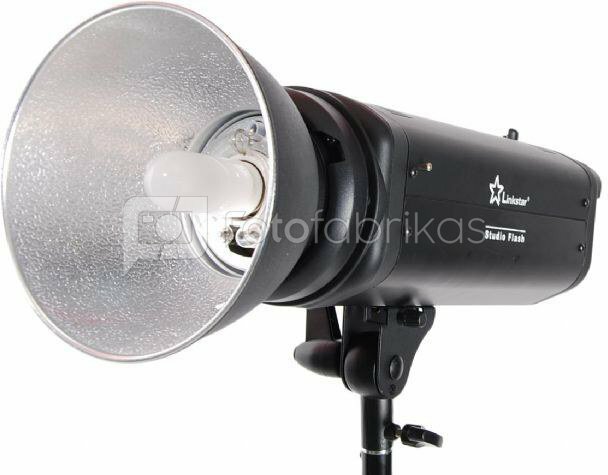 The modeling lamps can be turned on and off and can be adjusted proportional with the flash power. Furthermore, the studio flashes have an auto dump function. This means that when the output power is reduced, the power will automatically be discharged. The studio flashes can be mounted on every light stand. On the S-type bayonet connection, a wide variety of accessories can be mounted such as soft boxes, beauty dishes and a barn door set. The S-type bayonet connection is compatible with a number of other brands such as Bowens. The foot includes an umbrella holder for the supplied umbrella. For other accessories, see: "Optional Accessories".